Tracing the evolution of retail logistics over 35 years. The logistics demands of today’s major retail organizations are complex. Inventory levels are shrinking to accommodate more floor space. Product mixes can vary by region. Consumers buy online and in-store. The pace of retail is frantic, customers are looking for stand-out service, and you’re looking for a competitive edge. 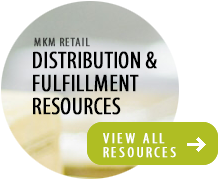 Specialized retail expertise that few logistics providers can offer. We’ve followed the evolution of retail logistics over 35 years, and deeply understand the ever-changing needs of retail organizations – both ecommerce and brick and mortar. A passion for complex projects that most retail logistics providers turn down. Special projects allow us to get creative, develop the most efficient solution, adapt our resources and get the job done. No project is too manual, too small or too rushed. Service-oriented philosophy – Our goal is to provide the best service that we possibly can. We care about our customers like family, and we stay as flexible as possible to help our customers succeed.